Disney has just announced that the 3D movie musical Mickey’s PhilharMagic is going to premiere at the Sunset Showcase Theater in Hollywood Land at Disney California Adventure park on April 26th. You may have seen Mickey Mouse, Donald Duck and other favorite Disney characters take the stage in this 3D adventure in Fantasyland at Magic Kingdom Park in Walt Disney World. 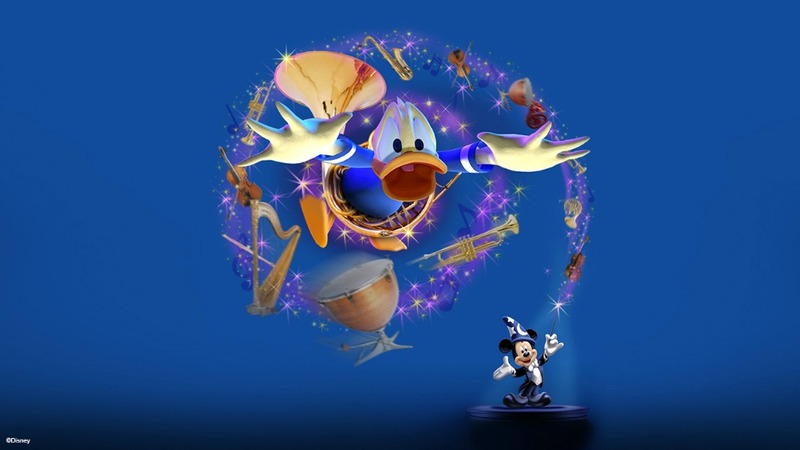 As Donald prepares the orchestra for Mickey, he comes across the conductor’s baton and Mickey’s Sorcerer’s Hat. A little magic goes a long way and proceedings go awry! Donald is unexpectedly plunged into a 3D dream world and you’re taken along for the ride. The experience will sweep you away into the fantastic world of classic Disney animated musical sequences—from Beauty and the Beast and The Little Mermaid to Peter Pan and Aladdin.